Sunday, July 29, 2018 -- 10am to 5:15pm. Where: near Smiths Falls, Perth & Westport, ON. Offer or request a carpool. September 15 & 16, 2018 -- 9:00am to 5:30pm. Seeking an engaging learning experience and practical knowledge to apply to your land, work, community and life? 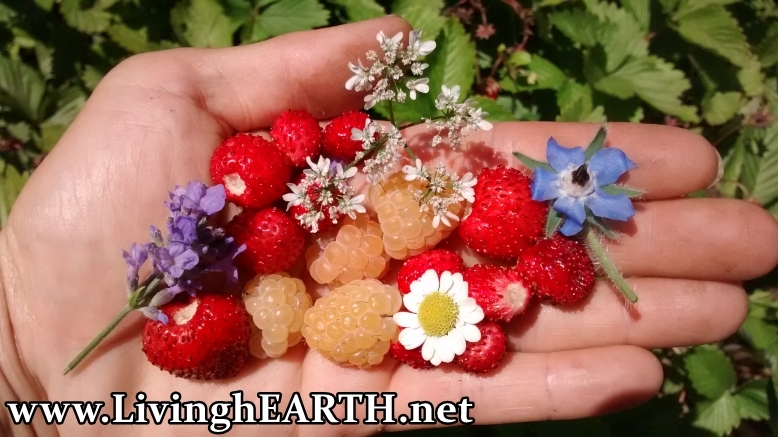 Interested in growing food, taking care of the water and soil, sustaining your livelihood, building community, and deepening your relationship with Mother Earth? Wanting real-life examples of what is possible in a cold climate, in rural, suburban and urban settings? Tuesday, March 13, 2018 -- 6:00pm to 8:00pm. Where: Centretown Citizens Ottawa Corporation, 464 Metcalfe St, Ottawa, ON. Sunday, March 4, 2018 -- 11:00 to 11:45am. Where: Perth Civitan Club, 6787 Lanark County Road 43, Perth, ON. Saturday, February 10, 2018 -- 11:30am to 12:30pm. Where: Almonte Civitan Hall, 500 Almonte Rd, Almonte, ON. April 28, 2018 – 9:00 am to 9:30 pm. Reiki is a holistic, energy-based practice that promotes balance & vitality. June 9 & 10, 2018 -- 9:00am to 5:30pm. Creating gardens that provide food and medicine year after year, while taking care of the water, soil, plants and animals? Gardening in a way that requires less work over time, and that works in harmony with Mother Earth? An engaging learning experience and practical knowledge to apply to the land you tend?